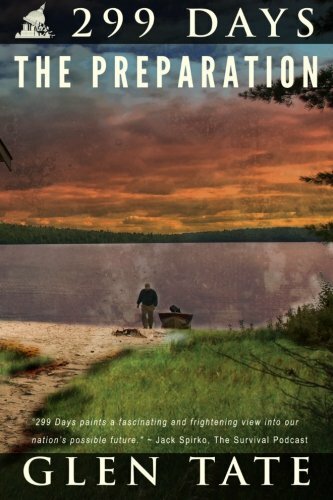 299 Days: The Preparation (Volume 1): Meet Grant Matson: lawyer, father, suburbanite husband who awakens to the fragility of modern society and embarks on a personal journey that introduces him to a world of self-reliance and liberation. 299 Days: The Preparation, the first book in the 299 Days series, depicts the inner struggles Grant must face as he exists in a social system he recognizes as unsustainable and on the verge of collapse, but one in which he has built his life around. What begins as a return to his roots, self-sufficiency and independence, becomes a full blown move to prepare for what may come. Engaging, insightful and a bit suspenseful, follow Grant’s transition from a self-perceived “sheeple” to a full-blown “prepper.” Will his fears come true? Is he an extremist? What if nothing happens? What if something does? Glen Tate has led an amazing life - and one that took a surprising turn. He grew up poor in the rural logging town of Forks, Washington. He worked hard to become a successful professional with a job in the political arena. Thinking he'd finally made it and everything was great, he was stunned to see how corrupt government is. From his observations at his job, he realized that America is collapsing and bad things are coming. Very soon. He began to prepare for him and his family to make it through the civil unrest of the coming collapse. That meant he had to return to his rural roots - quite a shock to his family and friends. Even more amazing was that he wrote down what he foresees happening during the collapse and it became a ten-book novel series.